Have you ever thought about using coconut oil to condition your hair? I know I have, I actually bought a jar the other day, and thought to myself how this oil is rarely talked about. It's not talked about as much as jojoba oil, or almond oil. I wanted to try it, figure out what the benefits are, and share with you all. I did a little research and thanks to the Healthy Oil Planet website, I know what I need to know. Want thick, shiny, healthy hair - in 60 mins?Find out how using coconut oil for hair moisturizing can give you stronger, healthier hair - even if you suffer from thin, lifeless dull hair! In less than one hour, you can treat yourself to intense moisturizing that strengthens and nourishes your hair. Once you've experienced running your fingers through a head of thick and healthy hair, you'll never go back to off-the-shelf hair conditioners again. 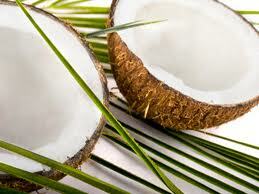 Polynesian women have been using coconut oil for hair conditioning for hundreds of years. This ancient remedy has been handed down from family to family - giving these island women their trademark thick and shiny hair. Now it's your turn to treat yourself to this remarkable all-natural hair moisturizing treatment. Read on and learn how you can benefit from this moisturizing hair treatment. ﻿It's no secret virgin coconut oil is bursting with fortifying fatty acids. Studies show coconut oil actually penetrates the hair shaft and reduces protein loss. These fatty acids are proven to enhance and strengthen the hair shaft. Some shampoos can strip your hair of its natural oils. This is why you may have to use a hair conditioner to prevent dry, brittle hair. Unfortunately, some hair conditioners don't really replace your natural hair oils - they simply coat the hair shaft, giving you the illusion of healthy hair. Virgin coconut oil is proven to replenish the vital oils that give your hair shine and bounce. Dry damaged hair can easily break and leads to split ends. 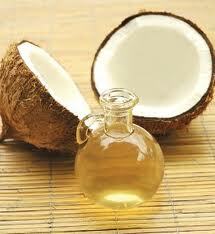 Using virgin coconut oil can strengthen the hair shaft, reducing split ends and hair breakage. Before beginning this treatment, you'll need a couple of items to prepare. You'll also need about one hour to do this deep conditioning hair treatment. Pick a good time when you can sit at home and don't need to go out. Shampoo your hair and let dry until slightly damp. Apply a quarter-sized amount of virgin coconut oil to your palms and rub hands together. The heat from your hands will instantly melt the coconut oil, coating your palms and fingers with the oil. If you have longer hair, you'll probably need to use more oil. Take the plastic shower cap and cover your hair. This keeps your hair in place. It also helps retain heat to increase absorption. Leave on for about one hour, then remove the plastic shower cap and rinse your hair. Your hair will feel thick and full right after this 60 minute treatment. How often should you use coconut oil for hair conditioning? I think it depends on the initial condition of your hair. 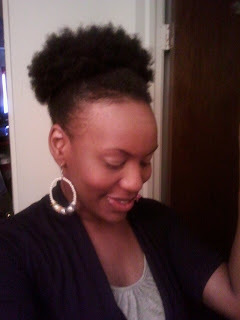 My hair feels thick and full for at least a week before I do another weekly deep oil conditioning. You may get away with doing it only once every couple of weeks or you may have to do it more often. Remember that some shampoos can strip the oils from your hair if you use them too much. This is why you may have to condition your hair after shampooing to replace any oils you've just washed out. Depending on your overall health and diet, your hair may require more or less coconut oil hair treatments between shampoos. Forget about using hair conditioners, hot oil treatments, thickening mousses and gels to nourish your hair. You're giving money away to those multi-corporations intent on selling you products with empty promises. Virgin coconut oil is one of the few healthy oils proven to penetrate your hair shaft leading to thicker-looking hair and less split ends.